We continue to receive encouraging comments from the community on the Leaderboard. Thank you. Many congratulations to the top-10 contributors featured on our December leaderboard! 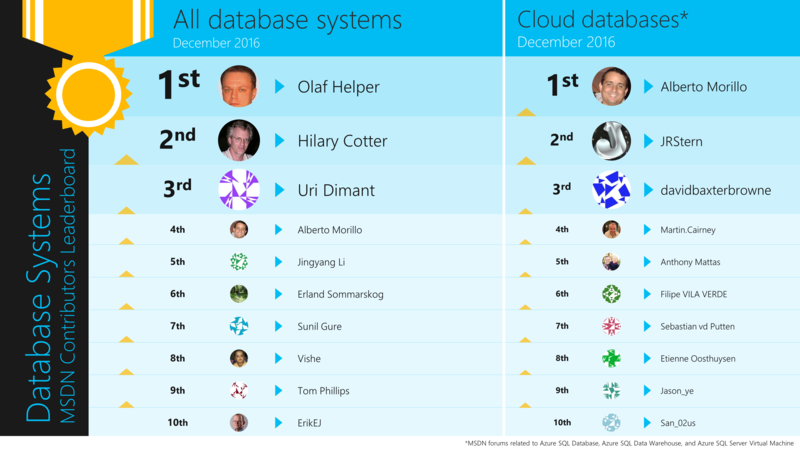 Olaf Helper and Alberto Morillo top the Overall and Cloud database this month. Six of this month’s Overall Top-10 (including all of the top three) featured in last month’s Overall Top-10 as well, and four others are new entrants. 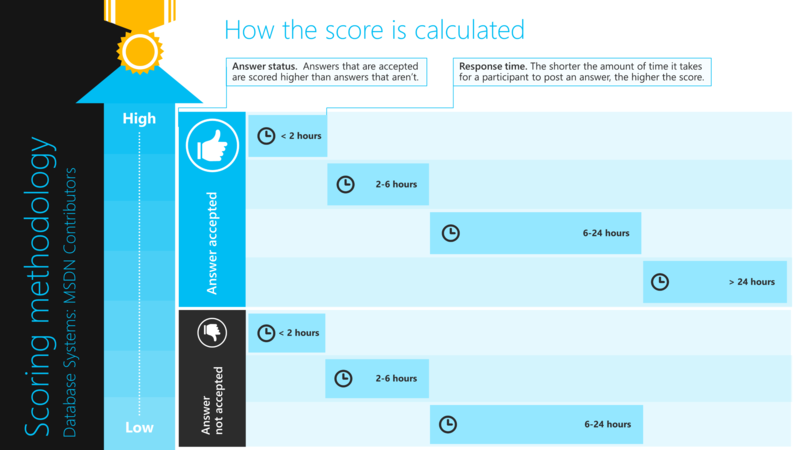 For questions related to this leaderboard, please write to leaderboard-sql@microsoft.com.